The Women’s YPO (Young Presidents’ Organization) Network announces its support of and participation in The WIN Summit, which will bring together global experts to share tested negotiation strategies and diverse perspectives on gender equality in the business world. The WIN Summit provides an environment that can assist leaders and managers in facing challenges, improving confidence, sharing insights, celebrating successes, improving businesses and becoming stronger leaders. The Women’s YPO (Young Presidents’ Organization) Network, connecting female chief executives who share a desire for support, community, connectivity, education and idea exchange, announces its support of and participation in The WIN Summit. The WIN Summit, which will bring together global experts to share tested negotiation strategies and diverse perspectives on gender equality in the business world, is hosted by The Negotiation Institute, the first and longest-running negotiation training organization in the world. The 2015 WIN Summit will explore how women in the workplace can harness their strengths, elevate their leadership and management skills, and advance their careers through the art of negotiation. Women interested in participating can register for The WIN Summit, September 30 – October 1 in New York City, at http://winsummit.com/. The WIN Summit qualifies for 11 CLE credits and 11.75 HR credits. The Women’s YPO Network and YPO, which unites members through its mission of becoming Better Leaders Through Education and Idea ExchangeTM, are supporting this event so participants can discover new ways to meet an array of both internal and context-based challenges from some of the most influential and successful women in business today. “We are so pleased to support The Negotiation Institute’s landmark conference that is dedicated to providing women in leadership and management positions with a unique community of peers with a shared interest in connectivity, education and idea exchange," said Santiago Sanchez, 2015-2016 YPO International Chairman. “The WIN Summit provides an environment that can assist leaders and managers in facing challenges, improving confidence, sharing insights, celebrating successes, improving businesses and becoming stronger leaders." Additional WIN Summit presenters include Sara Laschever, 2015 WIN Summit academic coordinator, senior faculty member of The Negotiation Institute and co-author of “Women Don’t Ask and Ask For It: How Women Can Use the Power of Negotiation to Get What They Really Want,” and Randi Weingarten, president of the American Federation of Teachers, AFL-CIO. 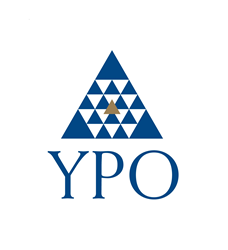 YPO (Young Presidents’ Organization) is a not-for-profit, global network of young chief executives connected through the shared mission of becoming Better Leaders Through Education and Idea ExchangeTM. Founded in 1950, YPO today provides 23,000 peers and their families in more than 130 countries with access to unique experiences, extraordinary educational resources, access to alliances with leading institutions, and participation in specialised networks to support their business, community and personal leadership. Altogether, YPO member-run companies employ more than 15 million people around the world and generate USD6 trillion in annual revenues. For more information, visit http://www.ypo.org. The Women’s YPO Network is a powerhouse of chief executives leading female-run companies that employ more than 42,000 people, has a combined revenue of USD6 trillion, and represents 25 industries in 68 countries. To learn more about the Women’s YPO Network, see https://www.youtube.com/watch?v=MdaxgT5jHww&feature=youtu.be. Founded in 1966, The Negotiation Institute (TNI) provides on-site corporate training programs and public conference events designed to provide executives a competitive advantage in today's global marketplace. The first and longest-running negotiation training organization in the world, the Institute legacy and depth of experience enables us to provide clients with unparalleled solutions across a variety of executive competencies—negotiation, high-performance sales, procurement, supply chain management, leadership and presentation skills. TNI commitment to excellence is reflected throughout our global faculty of instructors, thought leaders and business experts. To learn more, please visit us at http://www.negotiation.com.